Marco Rubio is under contract to write a memoir, due out at the peak of election season next fall. The cynic might take this as just another sign that the Florida senator with matinee idol looks is angling for the number-two slot on the Republican ticket next year. But when I first heard about the deal today, it occurred to me that the book could perhaps actually give Rubio the chance to set the record straight when it comes to the story he's been telling about his parents' arrival in this country -- making them out to have been exiles from the reign of Fidel Castro, when in fact they came to Florida two and a half years prior to Castro's rise to power, in a more conventional path of immigrants seeking economic opportunity. The book, it seemed, could be Rubio's moment to come clean. 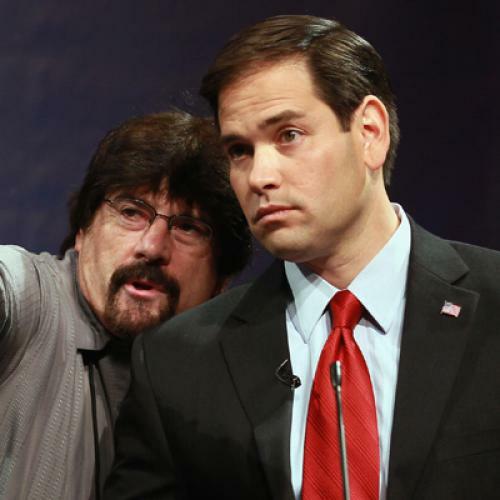 "Rubio, 40, is the son of working-class exiles from Cuba. … His father worked mostly as a bartender, while his mother worked as a maid, cashier and retail clerk. Every day, Rubio saw American exceptionalism through the labors of a hard-working family that came to America in search of the American Dream, and found it." It looks like Rubio will be trying to have it both ways: claiming the traditional opportunity-seeking immigrant legacy plus the agony of the exile.